I am highly impressed with the amazing connections the Church of Scotland has on the ground. This is because we have good people like John McCulloch and his wife, Annette, working to support and encourage partners. 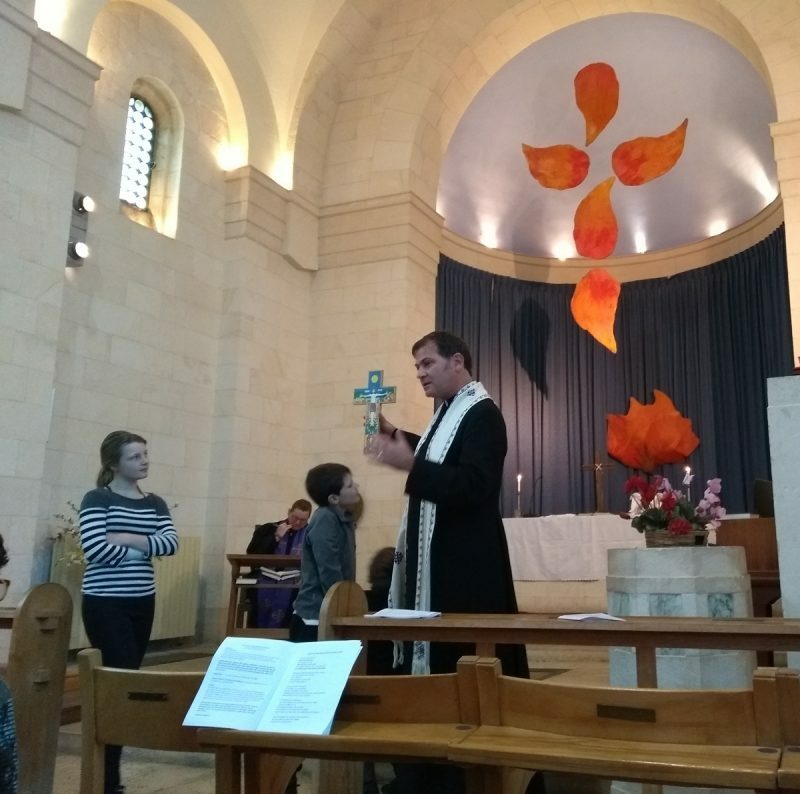 It was brilliant to worship in St Andrew’s Church in Jerusalem with John and to share a meal with them last night. The cross suspended above the chancel of At Andrew’s Church was made of felted sheep’s wool from a Bethlehem project for people with severe learning disabilities. You might also see the ‘Burning Bush’ and the flames of the Holy Spirit at Pentecost.